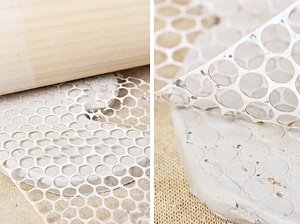 Use Wire Cutting tool to cut a piece of clay. 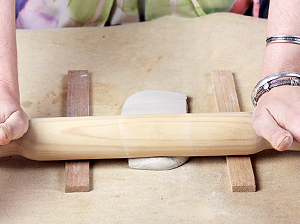 Flatten the clay with your hand first and place between two pieces of wood. The height of the wood will determine the thickness of the slab. Roll from end to end and turn over and repeat. 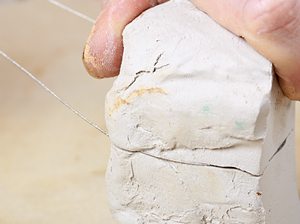 Use a pin tool to lightly draw into the clay. Mistakes can be smoothed over. 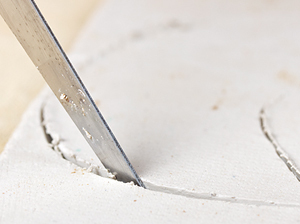 Use a clay knife to cut out a shape. 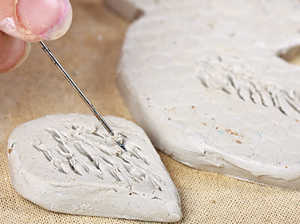 Textures can be created by pushing objects into the clay. 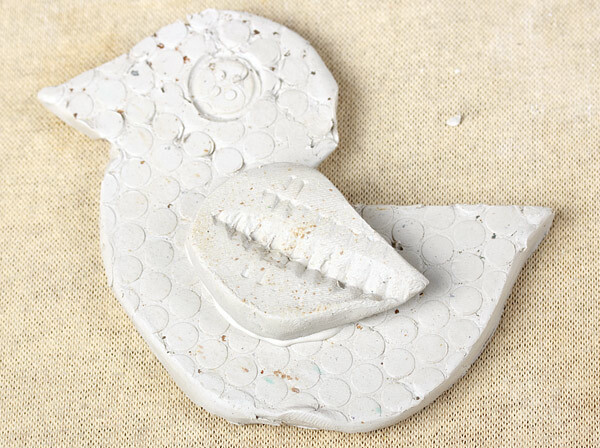 To adhere pieces of clay together, score both joining sides. 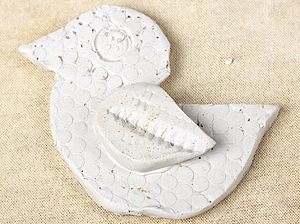 Apply slip to both sides and gently press both pieces together. Run a modelling tool along the joining seam. 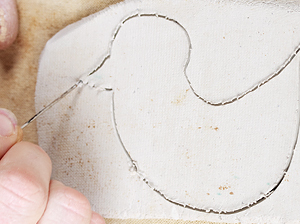 Add any final details and your piece is complete!